Heat oil in a pressure cooker at medium heat and add jeera seeds, chopped onions and cook till onions turn pink. Add sliced adrak and Lehsun cloves, chopped tomatoes and salt, mix everything and cook for 5 minutes. Now add ½ cup of water and close the pressure cooker and let 6-7 whistles blow. Meanwhile, grind cashews and milk to form a fine paste. After 7 whistles turn off the gas. Once pressure cooker cools down, cook onion tomato mixture till all the water evaporates and mixture starts loosing oil. Mash all the Lehsun pieces (if any) with spatula. When mixture starts loosing oil add haldi powder, red chilli powder, jeera powder and Dhaniya powder. Mix everything nicely. Now add cashew paste and stir, add green peas mix well, add paneer cubes and kasoorimethi. 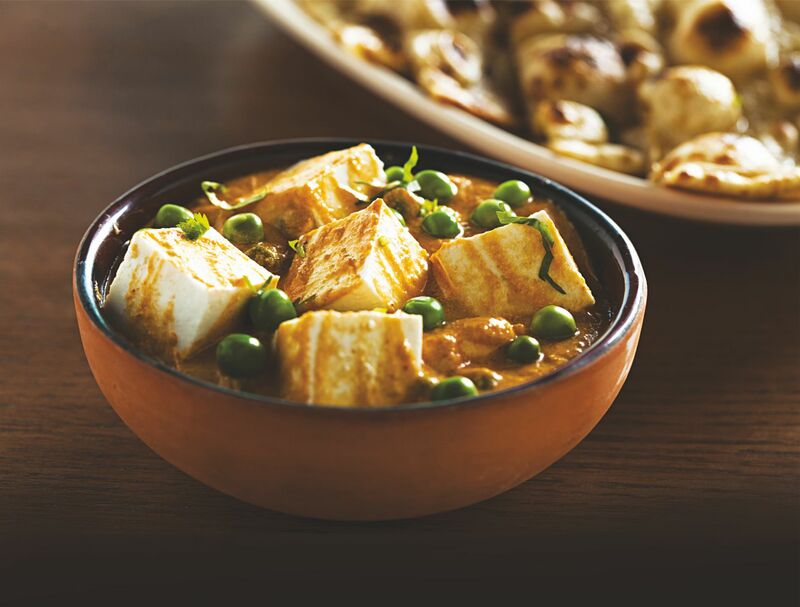 Stir everything and cook for 4-5 minutes so that paneer gets nicely coated with masala. Add ¾ cup of water and boil mutter paneer for few minutes and turn off the gas. Add cream on top to garnish and serve.